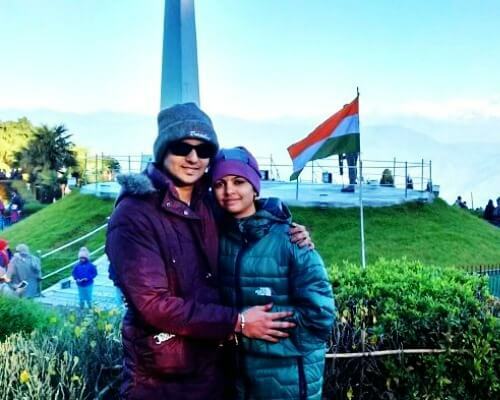 Honeymoon is a much-awaited vacation for the newlyweds that the lovebirds have been dreaming about. 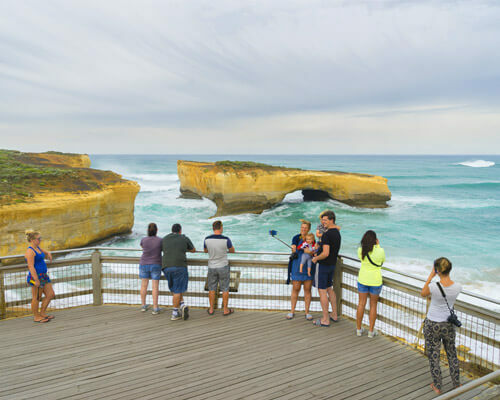 But the typical honeymoon destinations in India are generally crowded and may not be a good option for those who are looking for a solemn serenity. 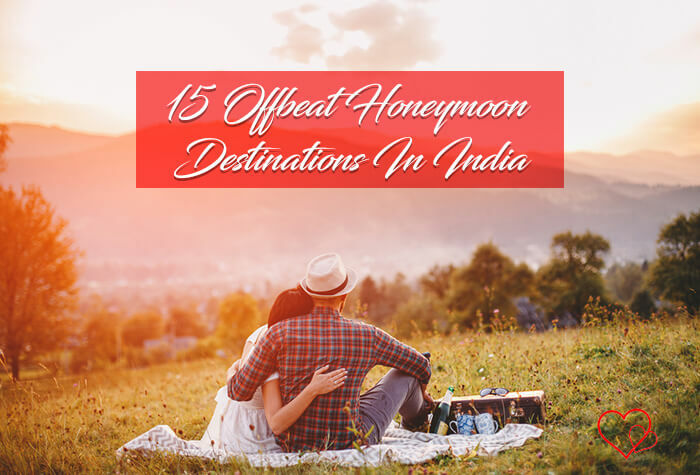 To cater to the needs of the honeymooners of an isolated & intimate holiday, we bring to you 15 offbeat honeymoon destinations in India that offer tranquility and divinity. 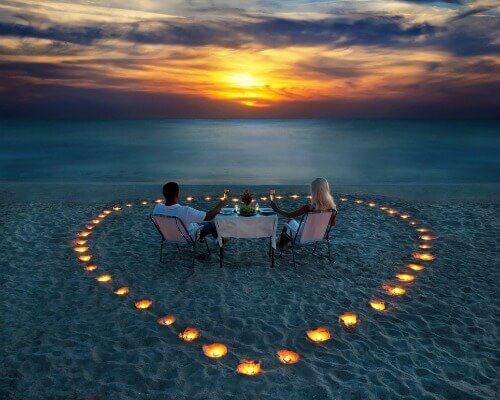 Coorg is one of the top names in the list of offbeat honeymoon destinations in India. This hilly retreat, located near Bangalore, is known for aromatic coffee estates, spice plantations, sizzling waterfalls, and enchanting hills. How to reach: Mysore, located 107 km away, has the nearest airport and railway station. 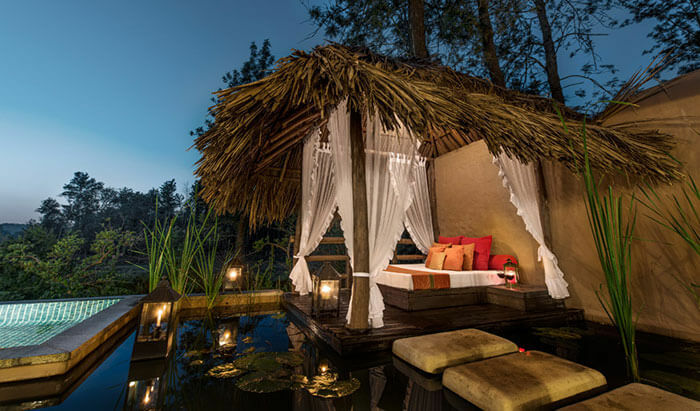 For a romantic stay: The luxury resorts in Coorg include Orange County, The Tamara Coorg, and Old Kent Estates & Spa Resort. Casa Coorg Homestay and Silver Brook Estate Homestay are the popular homestays in Coorg. Rejuvenate in your new life by reliving the past glories and visiting this vibrant historical town of Karnataka. 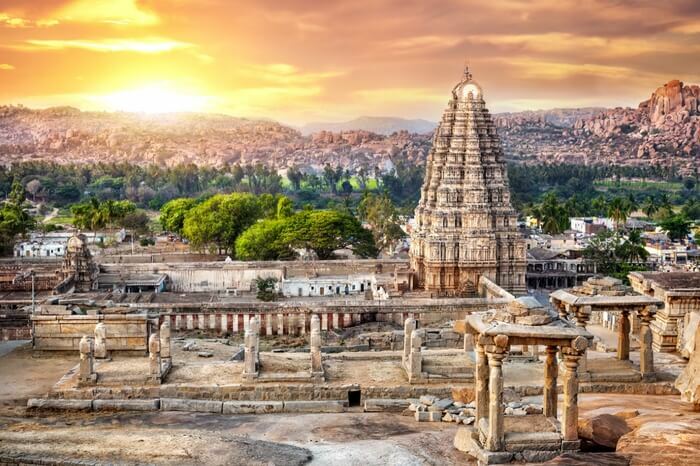 Hampi, located by the banks of Tungabhadra, is a UNESCO-listed World Heritage Site. The rocky beauty is a mesmerizing place to rejoice love and bliss. How to reach: Located 13 km away, Hospet is the nearest railhead. Hubli Airport is the closest air connection, located at a distance of 74 km. One can also enjoy a romantic drive from Bengaluru. 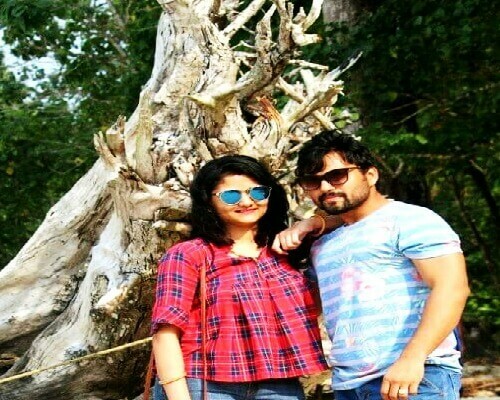 If it is solemn happiness and some intimate time amid breath-taking scenic splendor that the couples are looking for, Lakshadweep is the place to be. Surrounded by quaint islands, sun-kissed beaches, and crystal clear lagoons, this picture-perfect island group is an abode of sheer romance. The tropical climate is so suitable throughout the year. But October to February is ideal for a honeymoon. 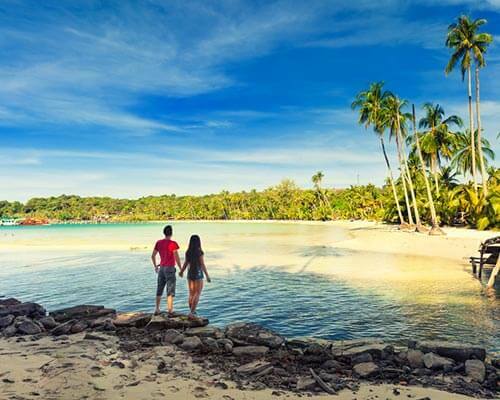 For that ultimate romantic honeymoon: Laze on the sparkling sandy beaches, take a romantic stroll, and sunbathe on the pristine beaches of Kalpeni, Kavaratti, and Minicoy islands. How to reach: Flights from Cochin International Airport daily fly to Agatti Aerodrome. Moreover, one can also reach Lakshadweep from Kochi in passenger ships like MV Amindivi, MV Arabian Sea, MV Bharat Seema, MV Dweep Setu, MV Kavaratti, MV Lakshadweep Sea, and MV Minicoy. 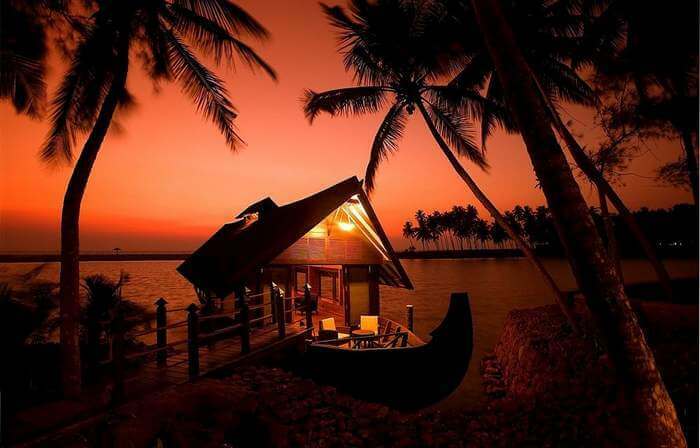 Kerala is quite a popular as a honeymoon place, but not every part of this charming state is crowded with tourists and honeymoon couples. 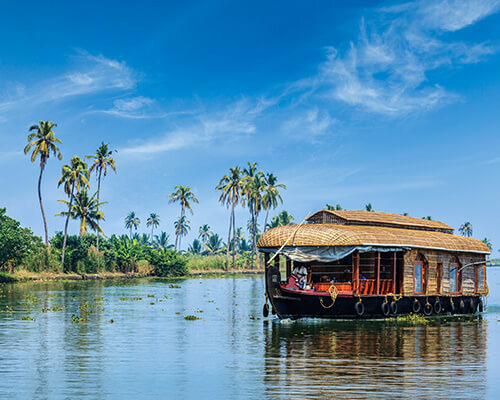 Northern Kerala, particularly Wayanad, Bekal, & Silent Valley, is an emerging name as a honeymoon destination in India for those in search of privacy & peace. Wayanad is a picturesque destination surrounded by lofty Western Ghats, pristine valleys, plush forests, and sparkling lake. And there are numerous tourist places in Wayanad to cover on your honeymoon. 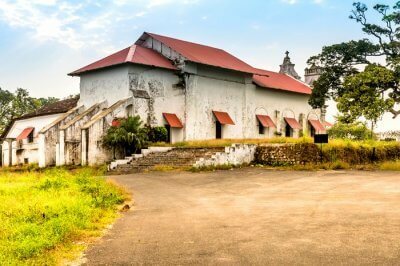 Bekal boasts of its vintage fort, charming shoreline, and super amazing weather. Silent valley is another enchanting but extremely unconventional honeymoon destination. Located within the Nilgiri Biosphere Reserve, it is known for plush biodiversity, serenity, and wonderful scenic splendors. Wayanad: The nearest airport and the nearest railhead is in Kozhikode. Bekal: Bajpe Airport is the nearest airport. Kasaragod Railway Station is the nearest railway head. 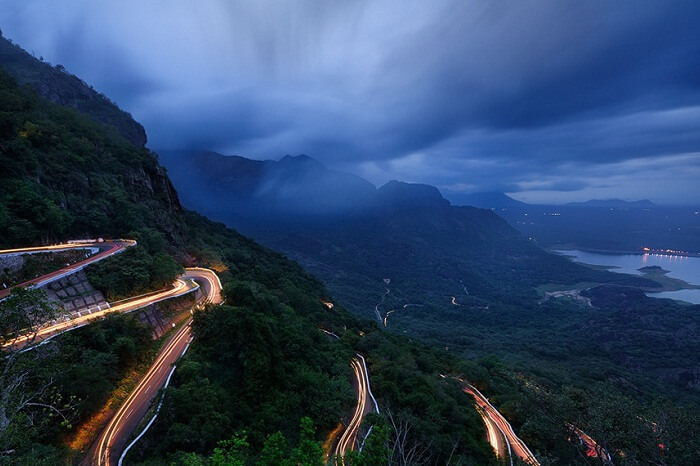 Silent Valley: While Palghat is the nearest railway head, Kozhikode has the nearest airport. 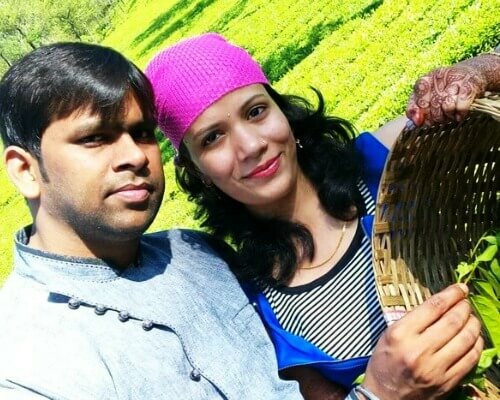 Topslip, Valparai, and Parambikulam are another set of unique and offbeat honeymoon destinations in India for the jungle loving couples. Snuggled at the Anamalai Hills, Topslip is a refreshing and lush green wildlife sanctuary. 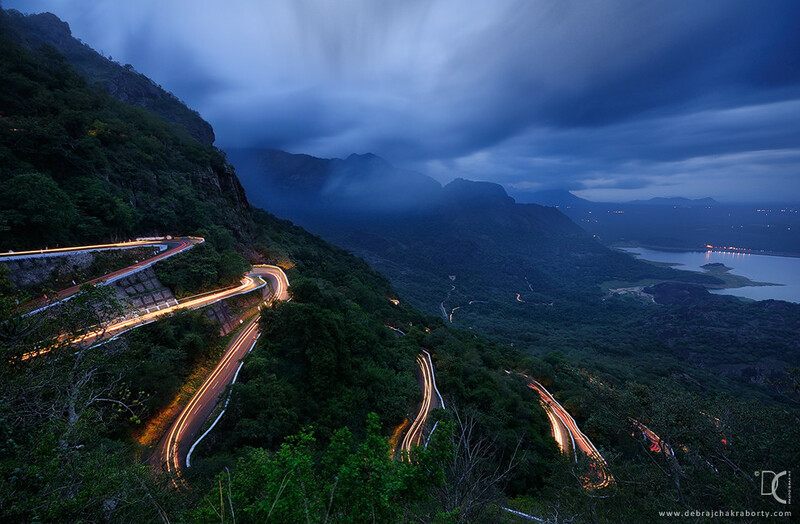 Located by the Anamalai Mountain Range, Valparai is characterised by plush & expansive forests, majestic valleys, and sizzling lakes. This divine stretch of land is adjacent to Parambikulam Tiger Reserve that boasts of its tranquillity, richness and magic. For a romantic stay: We recommend you to stay in Coimbatore and make day trips to these national parks and wildlife sanctuaries. 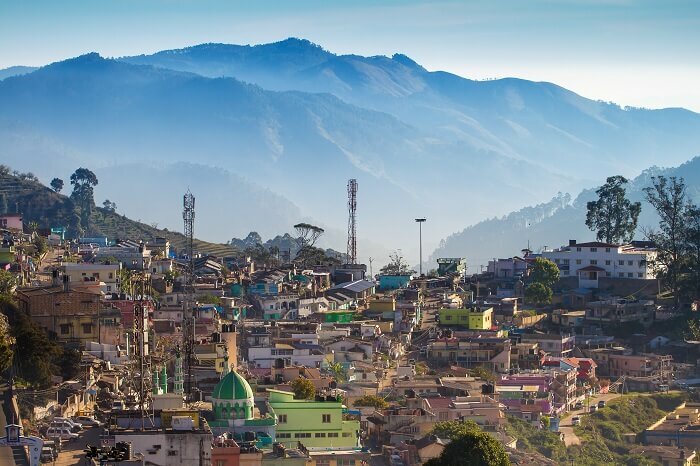 Kodaikanal is known for its charming & cozy surroundings of oak & pine forests and romantic weather. Perched in the upper slopes of Palni Hills, this is a wonderful paradise for the newly married lovebirds. How to reach: Madurai International Airport is nearest airport while Coimbatore Junction is the closest railway station. 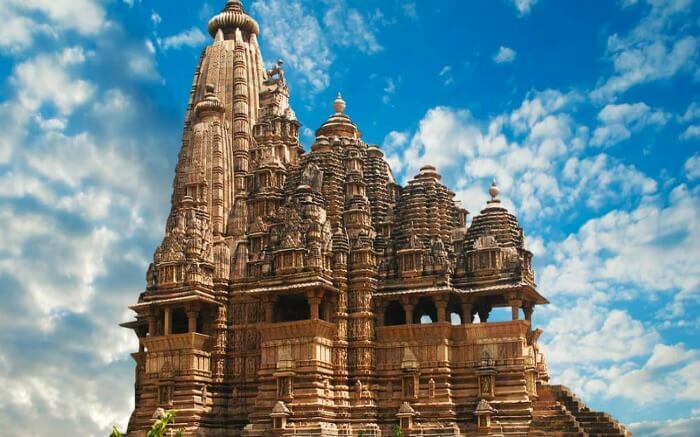 Khajuraho is amongst the most famous historical places in India. 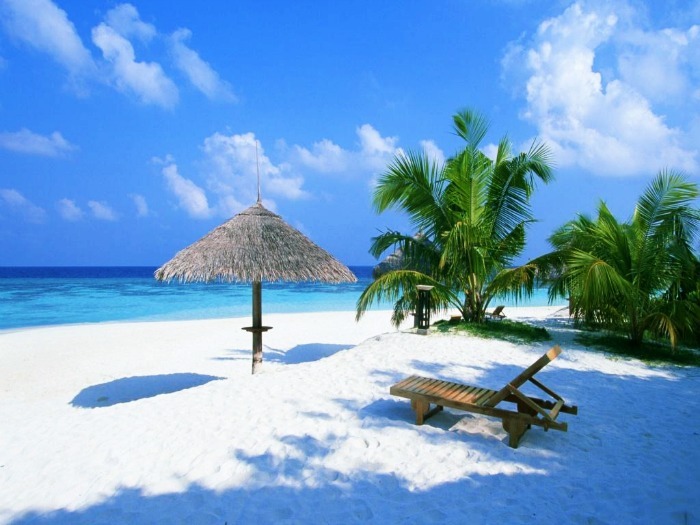 However, it is yet to be explored as a honeymoon destination. The sculptures & artwork depicting romance & sensuality and the numerous statuettes reflecting love & beauty will make the new love bloom in full vigour. For that ultimate romantic honeymoon: Hold hands and roam around these sculptures & temples to feel the romantic aura of the destination. 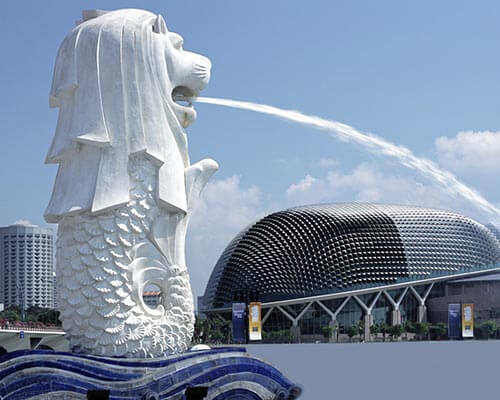 Don’t miss: The Sound and Light Show depicting the story of the Chandela dynasty. How to reach: Khajuraho has its own airport and railway station. For a romantic stay: The Lalit Temple View, Ramada, and Hotel Clarks offer the best stay options in the region. 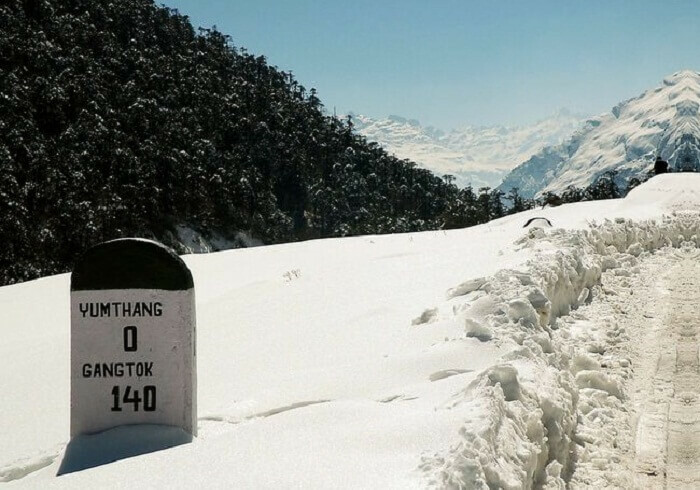 If you are looking for an escape from regular honeymoon destinations, Tawang is an ideal option. 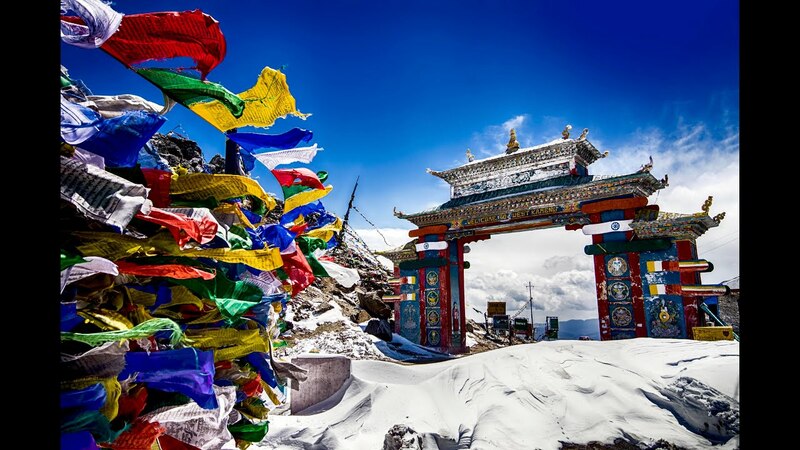 Perched at 10,000 feet, this mesmerizing destination in Arunachal Pradesh will greet you with colorful monasteries, gompas, and scenic surroundings. 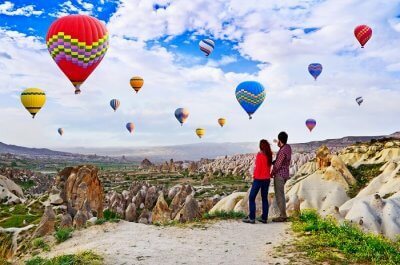 For that ultimate romantic honeymoon: Take a romantic stroll by the Paradise Lake at Sela Pass & Pankang Teng Tso Lake, take a dip in the waters of Nuranang Waterfall, or enjoy a thrilling helicopter ride with your better half. 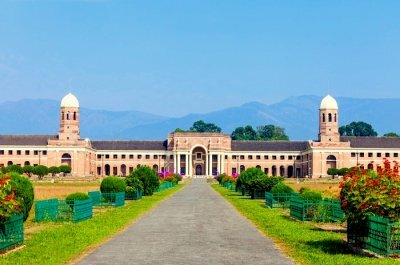 How to reach: Tezpur (315 km away) has the nearest airport & railway station. For a romantic stay: There are limited stay options because of the underdeveloped accessibility and unpopularity of this destination. Awoo Resort and Nyezino Resort are the best among those options. Yumthang Valley offers jaw-dropping beauty and is a picture perfect but offbeat honeymoon destination in India. Popularly known as the ‘bowl of flowers’, this picturesque gorge gives you ample scope to enjoy the marital bliss that you are looking for. 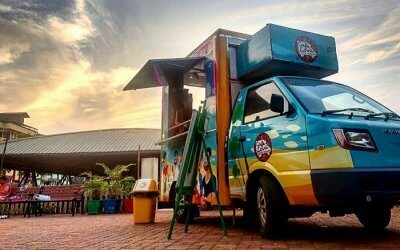 For the best treat to the eyes, visit this heavenly place between March & June end. 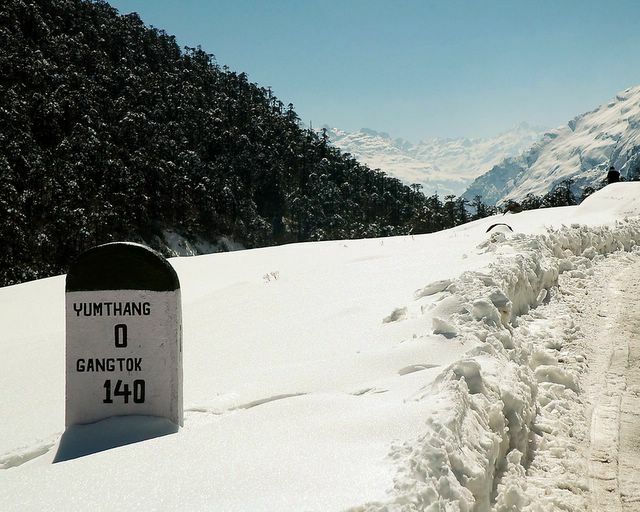 How to reach: Yumthang Valley is nearly 7-8 hours’ drive from Gangtok. It is advisable to reach Lachung (24 km before Yumthang), stay there overnight and start early next day to reach the gorgeous valley. For a romantic stay: No accommodation is available in Yumthang Valley. You can stay at Lachung in Yarlam Resort and Hotel Tenzing Retreat. Gangtok is an idyllic kaleidoscope of picturesque landscape and romantic ambiance. 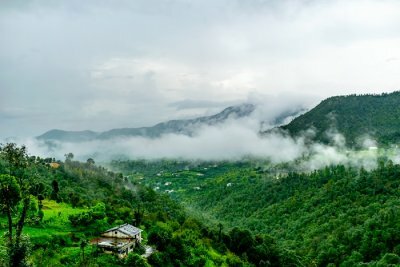 The lush green valleys, lofty mountains, sparkling lakes, monasteries, and snow laden driveways boost to ooze out the romance in every possible way. 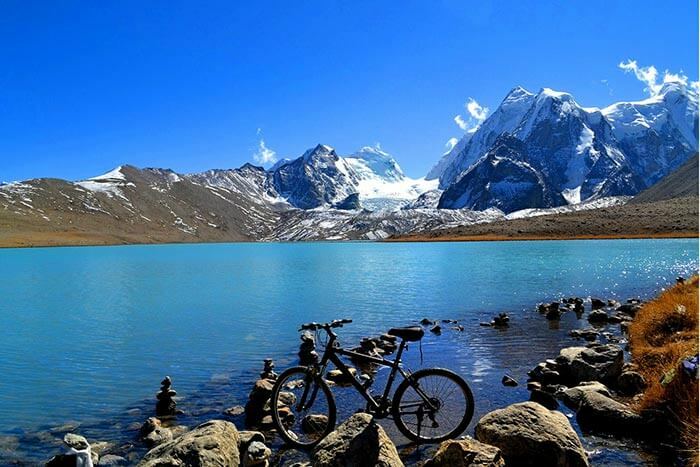 And the various places to visit in Gangtok are truly alluring. 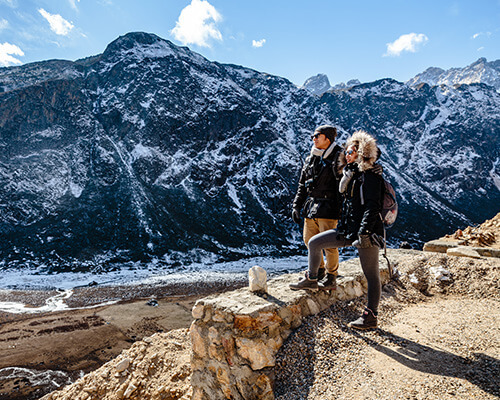 For that ultimate romantic honeymoon: View Khangchendzonga & other peaks from Tashi View Point, go for an amazing cable car ride & enchanting yak safari, or indulge in some adventure activities including trekking, paragliding, & river rafting in Teesta. How to reach: Bagdogra (124 km away) is the nearest airport. New Jalpaiguri, located at 148 km from Gangtok, is the nearest railway station. For a romantic stay: Mayfair Spa Resort and Orange Village are the most beautiful resorts in Gangtok. 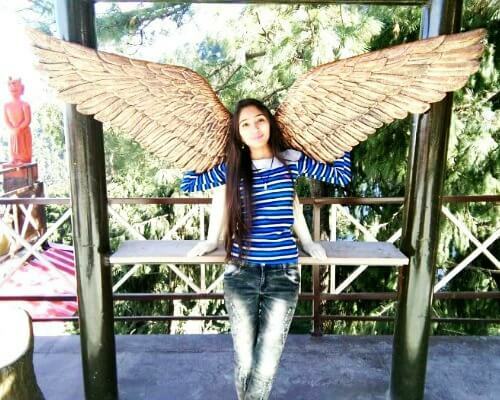 There are also many budget hotels in Gangtok that can be considered. 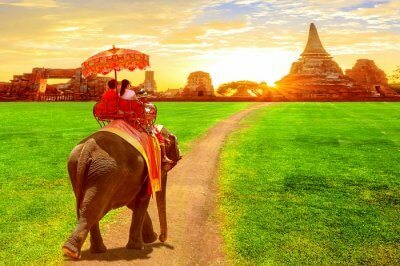 Note: You can also include other nearby destinations in your Gangtok and Darjeeling honeymoon. Kalimpong offers surreal beauty and is considered as one of the off-the-wall honeymoon destinations in India. The tranquillity and charming surrounding have made this heavenly hill station a perfect romantic getaway. 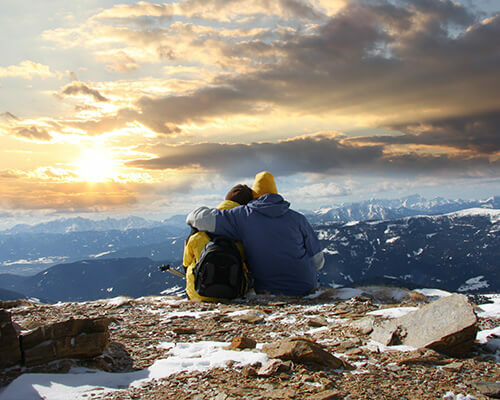 For that ultimate romantic honeymoon: Spend some cherished moments of togetherness at Deolo Hill and relish the beauty of the various tourist places in Kalimpong. How to reach: Bagdogra is the nearest airport, located 80 km away. 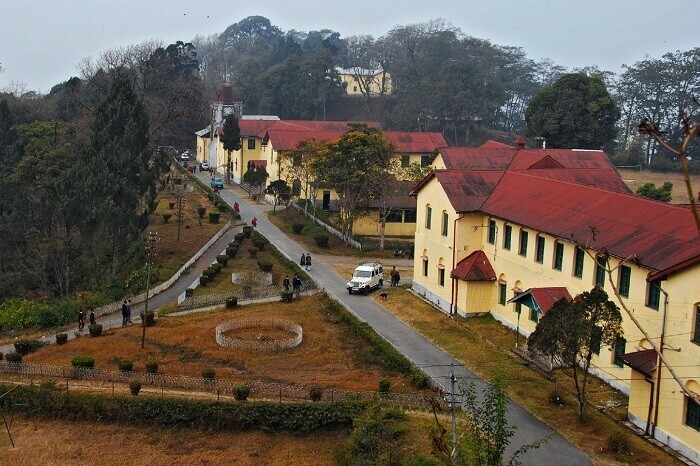 New Jalpaiguri, located at a distance of 25 km from Kalimpong, is the nearest railhead. For a romantic stay: The Elgin Silver Oaks, Summit Barsana Resort & Spa, and Sinclair are the best stay options. The Sundarbans National Park, one of the best national parks in India, is a lush green stretch of mangrove forest by the River Ganga. Cruising in the motor boats and spending the night in forest bungalows make Sundarbans a one-of-its-kind honeymoon destination. Though the park remains open from September to March, the ideal time to visit is November to February because tigers are seen sunbathing on the banks in these months. 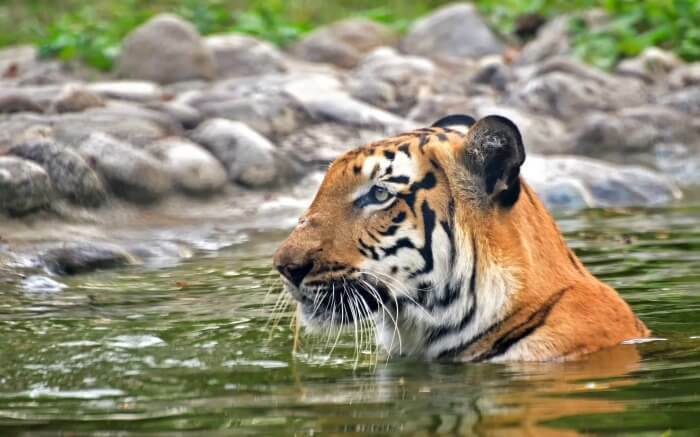 For that ultimate romantic honeymoon: Rejoice the thrill of spotting Bengal tiger, saltwater crocodile, wild boars, foxes, leopard cats, and huge turtles. How to reach: Canning, located 54 km away is the nearest railhead. Regular motor boats to Sundarban are available there. Kolkata, 112 km away, is the nearest airport. For a romantic stay: Sundarban Gateway Resort and Solitary Nook are best resorts in Sunderbans. Ranthambore is yet another place that has not gained a reputation as popular honeymoon destination. 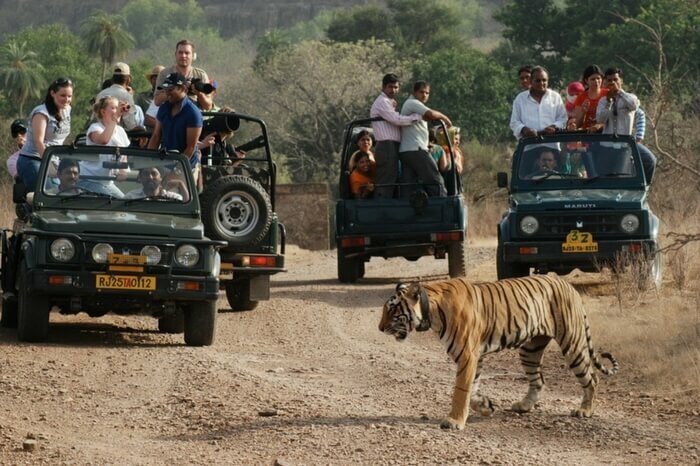 This national park, located in Sawai Madhopur region of Rajasthan, boasts of its tiger population. Also home to a wide variety of flora and fauna, it is an idyllic romantic retreat for couples. The park remains open from October to June for visitors. For that ultimate romantic honeymoon: Enjoy a romantic glamping experience and indulge in star-gazing. How to reach: Sawai Madhopur (10 km away) is the adjoining railhead and the nearest airport lies at Jaipur (157 km away). For a romantic stay: Vanya Vilas, Khem Vilas, Aman-i-Khas, Nahargarh Hotel, and Taj Sawai Madhopur Lodge are some of the hotels in Ranthambore. 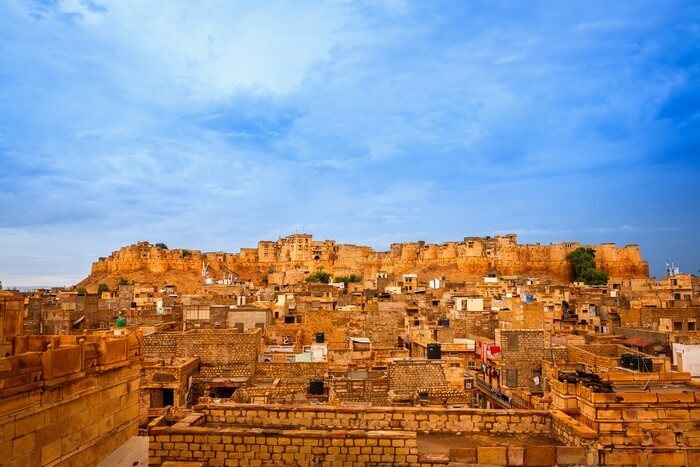 If you are looking for one of the offbeat honeymoon places in India, pick Jaisalmer as your romantic retreat. 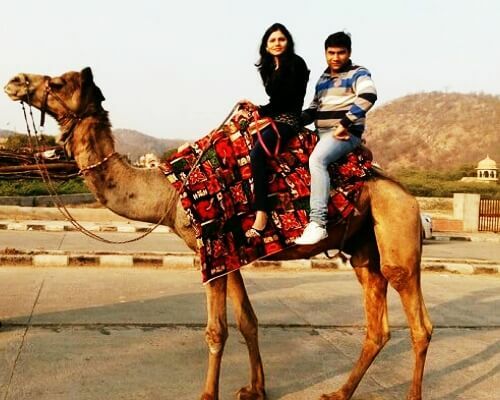 Be it the stunning forts, the vintage havelis, or the exhilarating desert camps & desert safari in Jaisalmer, the place offers every ingredient for a perfect, unconventional honeymoon. For that ultimate romantic honeymoon: Camp in one the luxury tents of Thar Desert, enjoy a camel safari, rejoice folk music performances in the evening, and star gaze in the desert together. How to reach: Jaisalmer has its own railhead and airport. A perfect honeymoon destination for the daring & the brave hearts, Ladakh offers surreal & unworldly charm and splendid serenity by the nature. 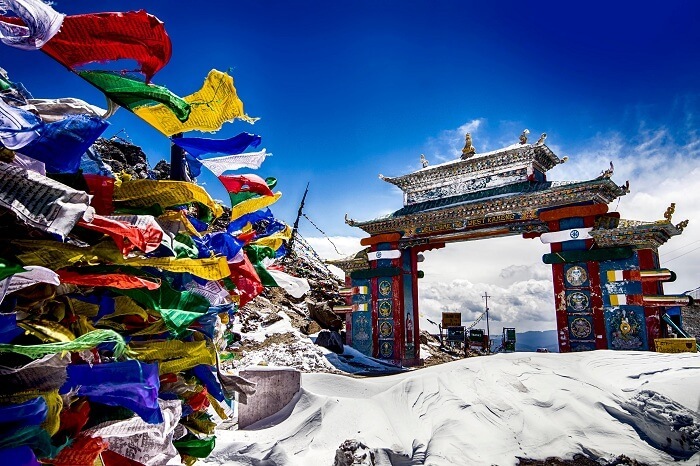 The beautiful tourist attractions and a plethora of things to do in Ladakh further add to the romantic experience here. For that ultimate romantic honeymoon: Walk by the Pangong Lake, stroll in the Zanskar Valleys, and try adventure sports like kayaking, rafting, & trekking. How to reach: Leh Airport is the nearest connect. The closest railhead is at Udhampur, located 634 km away. For a romantic stay: The Grand Dragon Ladakh, The Zen Ladakh, and Gomang Boutique Hotel are the best hotels in Ladakh. Intrigued? 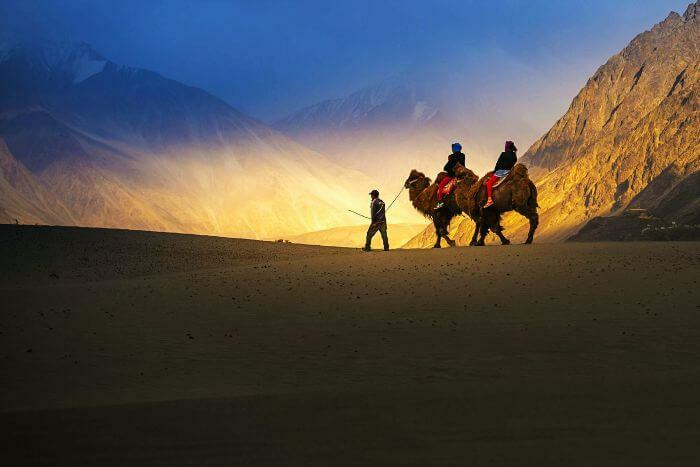 Plan your honeymoon in Ladakh now! 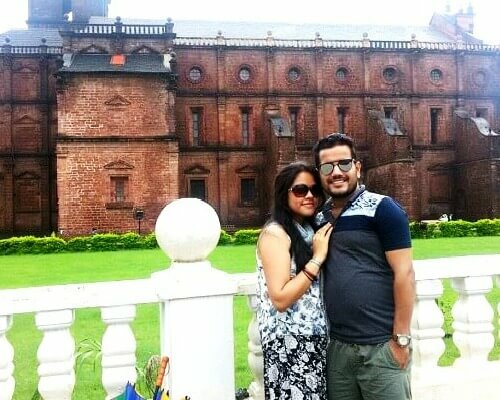 Do these off-the-wall honeymoon destinations in India excite you? 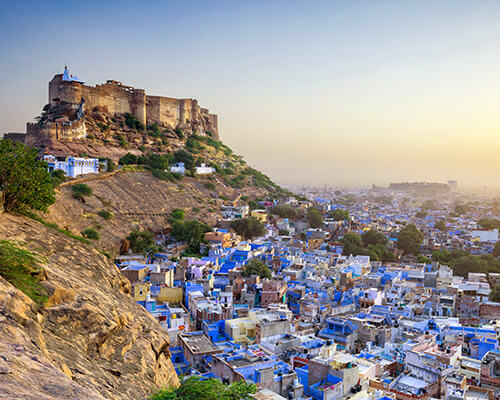 So, without further ado, start planning a honeymoon in India.